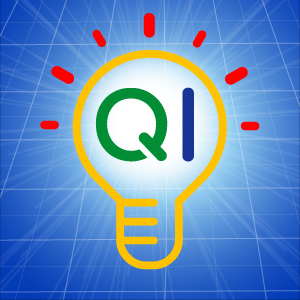 This is the introductory episode of the Quiet Innovation podcast. It explains the core concept of the show which is to help you turn your great ideas into reality. Whether you simply have a great idea bouncing around in your head, or maybe you’re even a few years into it and need some help to take it to the next level, you’ve come to the right place for the advice, tips, and inspiration you need. In today’s episode I talk about what this show is all about, who it’s aimed at, and how it’s going to benefit you. And, of course, I also tell you about me and the background that qualifies me to help you turn your great ideas into reality. It’s all coming up! With nearly 30 years of professional experience as a professional investor and successful entrepreneur to draw on, I have the perspective and the track record of success – and even failure – needed to strike the balance you need for staying motivated and hopeful, yet realistic. Product design: idea generation, when to go-to-market, testing your new concepts, intellectual property. Topics related to raising capital, including: venture capital, angel investors, & crowd funding. Oh, I’ll also talk about the value of business plans and what makes a good one. Leadership topics such as setting strategy, effective planning & goal setting, servant leadership, formulating a vision, managing through crisis, dealing with lawyers, accountants, consultants, and even lawsuits. Basically, nearly anything related to helping you turn your great ideas into reality. Important Editorial Note: This podcast originally launched in early January 2013, but I changed the editorial direction in March 2013. The change is so big that I decided to re-record this introductory episode in May so as to not confuse the newcomer to the show (it's backdated for continuity purposes only). To learn more about that change in editorial direction I encourage you to go ahead and listen to episode 5. I’ve already pulled the original episodes 1-4 from iTunes so as to not create confusion for new people here. But the blog postings remain here on the site. Episode 5 starts the new format and goes from there. W hile many innovations are developed inside existing organizations with their own sources of funding, there nonetheless remains a great need to put innovators & entrepreneurs together with sources of capital. Today I will introduce you to a resource that has my respect in this regard. That resource is called GUST, the self-described platform that "… enables skilled entrepreneurs to collaborate with the smartest investors by virtually supporting all aspects of the investment relationship, from initial pitch to successful exit." In short, GUST is a place for innovator/entrepreneurs seeking capital to more easily connect with so-called "angel" investors looking to deploy capital. Great ideas without access to capital (as well as planning and discipline – but that's for a different post), are like unharvested fruit that is destined to wither and die. Sign-up to get updates on latest blog posts and free exclusive discount codes on products & services you need. BlueHost is the best hosting service I ever used. Tech support is awesome. Artists from 99designs.com created the Quiet Innovation logo. Check them out!